I love chai. My love for chai is actually why I took up candy-making again a while back. I wanted to make a chai lollipop for myself. Unfortunately, I realized right away that I wouldn’t gain instant gratification; I’d have to make an extract first. So, I revisited my homemade whole wheat chai muffin recipe and came up with a water-based extract. While that was doing its thing is when I began to explore other flavors and play with recipes. So, perhaps it’s good that I had to wait this time. Well, I’m happy to report that they’re finally here! My extract was put to use this weekend. I made me some Chai Pops! Are you totally sick of this yet? Yeah. I know. I’m getting sick of myself too. It’s probably pretty annoying hearing me write about lollipops all the time, but I’m inspired and I’m having a great time coming up with new flavors. I honestly haven’t been this inspired in years. 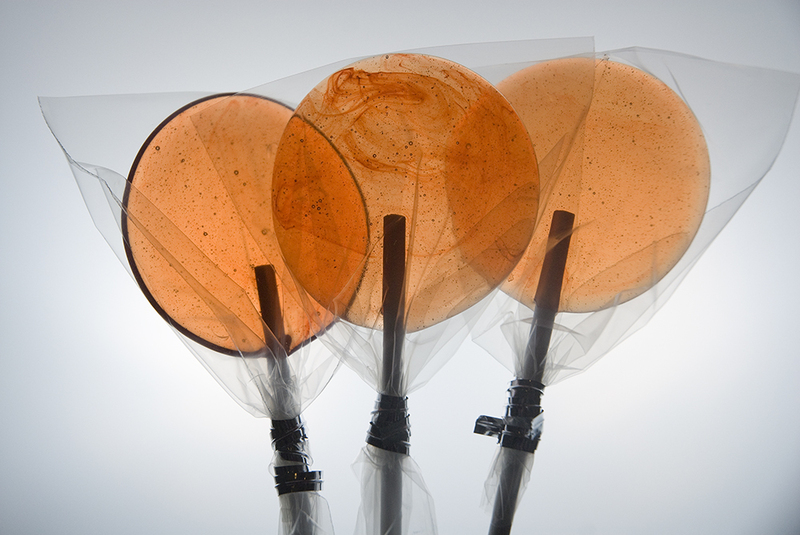 I will shut up soon, if only because I’ll be busy trying to eat all these lollipops! No, really. I have a lot of lollipops on my hands. And I hope to have the real Mom It Down up later today. Peanut Butter Cookies! Yum! Previous Post Generations in Pictures. Next Post Tuesdays With Murray (Chapter 129) Murray Scares Emory. A Video.